One of Michigan's leading scrap car buyer we pay cash. 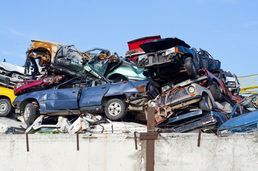 Competition Scrap Junk Car Buyers & Auto Recycling for Cash is proudly located in Warren, Mi but we buy junk cars for cash in all the surrounding areas. Call today for free same day removal. We pay the most money available for your junk vehicles. Scrap prices may change but we stay on top. Competition Scrap Junk Car Buyers is an Auto Recycling facility. We do not resell complete vehicles.